"Even if military action were required... the president is trying to make you think it would be 150,000 heavy mechanized troops on the ground in the Middle East again as we saw in Iraq and that's simply not the case," Cotton said. "It would be something more along the lines of what President Clinton did in December 1998 during Operation Desert Fox. Several days air and naval bombing against Iraq's weapons of mass destruction facilities for exactly the same kind of behavior... All we're asking is that the president simply be as tough as in the protection of America's national security interest as Bill Clinton was." 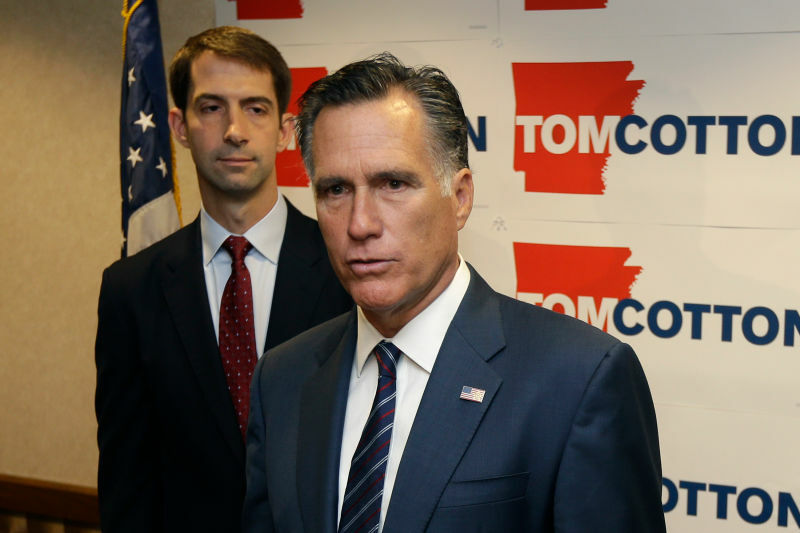 We also know that "Republican Senator Cotton" is apparently not in communication with the 71 percent of Republicans who either favor the administration's nuclear pact with Iran or are unsure about it, and he seems to have little truck with the whopping 89 percent of Republicans who oppose military action against Iran. Nor does "Cotton" seem to have a humanoid memory that extends back beyond 10 or 15 solar cycles, to an earlier earth-time when neoconservatives cited the failure of Clinton's 1998 bombing campaign as the precise reason why we needed hundreds of thousands of ground troops to invade Iraq and dethrone its dictator. "[If Iran were to be attacked] the United States would obviously be blamed and we could possibly be the target of retaliation from Iran, striking our ships, striking our military bases, and there are economic consequences to that attack….which could impact a very fragile economy in Europe and a fragile economy here in the United States," former Secretary of Defense Leon Panetta predicted in 2011. General Anthony Zinni, former CENTCOM commander, put it more clearly, "I think anybody that believes that it would be a clean strike and it would be over and there would be no reaction is foolish," he said in 2009. And former Secretary of Defense Robert Gates explained that "such an attack would make a nuclear-armed Iran inevitable. They would just bury the program deeper and make it more covert." "The results of an American or Israeli military strike on Iran could, in my view, prove catastrophic, haunting us for generations in that part of the world," he said. All this we know. 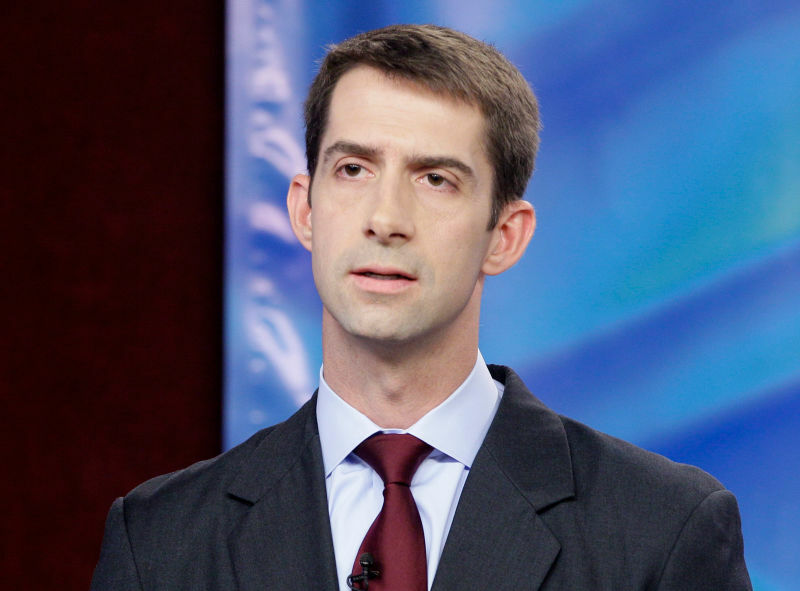 What we don't know is the motivation behind "Tom Cotton's" sunny minority report. Can we say for sure the real Tom Cotton didn't go MIA in Iraq and get replaced with an alien lizard king seeking to undermine earth's security? Or a Longhorn Steakhouse front-of-house assistant manager? Maybe someone in a lab beneath Tehran knows the truth. 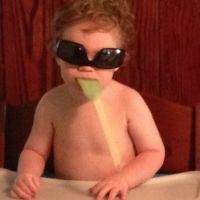 Maybe Persian limes are "Cotton's" kryptonite. Maybe we're all VR characters in a videogame universe assembled by a 10-year-old suburban kid who dissects neighborhood cats and capriciously moves us around this cruel world through the machinations of his game avi, "Senator Cotton." Or maybe he's just a pandering militarist fartknocker out to hucksterize the folksy war addicts of Inner America. Who can say for sure?